Electronic patient data on a tablet, photo by Bob Nichols/U.S. Department of Agriculture. Licensed under CC BY 2.0. On Monday, March 13th, the U.S. Court of Appeals for the Federal Circuit issued a decision upholding the Patent Trial and Appeal Board’s (PTAB) finding that a patent application covering a patient health information management system is invalid under the Alice standard. The decision is a disturbing reminder that, despite recent cases in which the Federal Circuit has overturned PTAB decisions, short-sightedness in the U.S. judiciary continues to negatively impact important burgeoning sectors of innovation. This decision by the Federal Circuit upholds the PTAB’s determination of invalidity for U.S. Patent Application No. 20100030580, entitled Physician to Patient Network System for Real-Time Electronic Communication & Transfer of Patient Health Information. It claimed a physician to patient system for transfer of patient health information among healthcare user groups and patients, the system having a network connected to a plurality of healthcare user computers, a network connected to a plurality of patient computers, at least one secure central server to store patient information to be shared among authorized healthcare user groups and patients, at least one private server to store patient health information private to the healthcare user group and means for authorizing users to connect to the network. The claimed invention is an integrated system which provides solutions to a majority of the cost-quality problems which have faced the U.S. healthcare system, including cost inefficiencies in electronic health record (EHR) systems and redundant patient record storage. After this patent application was filed in February 2010 by solo inventor Angadbir Singh Salwan, it received a final rejection from an examiner which declared that 41 claims of the the patent application, including claim 1, under 35 U.S.C. Section 101 for lack of patentable subject matter, 35 U.S.C. Section 103(a) for obviousness and 35 U.S.C. Section 112 for lack of a written description. Salwan appealed the decision to PTAB but it returned a decision upholding the Section 101 invalidity charge as claim 1 was “directed to the abstract idea of billing and also to a fundamental economic practice of calculating a patient’s bill.” PTAB also upheld the Section 103 and Section 112 invalidity charges and Salwan appealed the decision further to Fed. Cir. To reach its decision, Federal Circuit applied the two-step patentability test set down by the U.S. Supreme Court’s June 2014 decision in Alice Corporation v. CLS Bank International. In step one of the test, Fed. Cir. found that the claims of the patent application are directed to the abstract idea of billing insurance companies and organizing patient health information. Salwan lost on an argument that the calculation of a patient’s bill, as well as the transfer of patient EHR data, are not theoretical concepts. “While these concepts may be directed to practical concepts, they are fundamental economic and conventional business practices,” Fed. Cir. wrote, further noting that the Alice standard set down by SCOTUS views these practices as abstract and unpatentable. In step two of the Alice test, Fed. Cir. agreed with PTAB that the recited method steps failed to transform the nature of the claim, merely implementing practices which are long known to the industry. This non-precedential decision from Federal Circuit, taken in the context of other recent decisions, shows that the appellate court cannot restore sanity to the nation’s patent system despite its willingness to rein in the PTAB elsewhere. Last November, Federal Circuit overturned a PTAB decision on appeal after it found that PTAB instituted a review proceeding as a covered business method (CBM) review when the technology covered by the patent wasn’t a covered business method. In December, Fed. Cir. overturned the results of an inter partes review (IPR) at PTAB after it found that PTAB judges combined prior art references in a way that wasn’t obvious. A similar decision was reached in a February decision by Federal Circuit to vacate another IPR decision petitioned by Apple to challenged the validity of a data file naming technology. 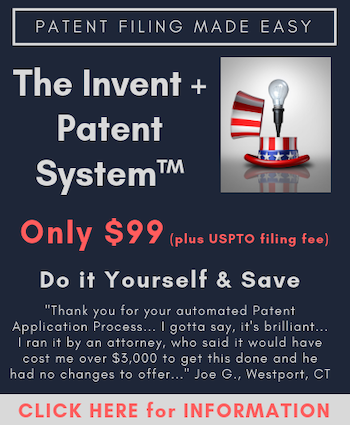 Of course, although Salwan’s ‘580 patent application did go through PTAB, the case arose out of an examiner rejection and not a PTAB proceeding instituted after the patent grant, making the patent application more susceptible to an Alice challenge. This distrust of software and computing innovations as unpatentable subject matter will hurt the American economy and probably has already done damage. According to market research firm MarketsandMarkets, the global market for patient flow management solutions will grow from $251 million in 2014 up to $678.4 million in 2019, increasing at a compound annual growth rate (CAGR) of 22 percent. Reasons for this increase include cost reductions and enhanced staff productivity, benefits noted in Salwan’s ‘580 patent application. An inability to commercialize such a technology by refusing patent protection simply because computers are involved will cause a chilling effect in this and other valuable growth sectors. These claims contain no invention whatsoever. What must the patent system do to protect the public from something like this slipping past the office and into litigation? There is no “technology” recited other than a survey of existing information management methods that have already been computerized a thousand ways from Sunday. Not granting this patent HELPS business. These claims contain no invention whatsoever. Was it new? Was it useful? Was it non-obvious? Was it embodied as part of process? Under statutory law then it is an invention. However, the judiciary acts like you sometimes — they’ve got this gnawing feeling in their gut that something shouldn’t be patentable, and then they make something up to justify their gut feeling. Love it when the CAFC reduces a claim to a bumper sticker, then announces (sans substantial evidence under APA 706) that the claim is abstract presumably because the claim limitations as an ordered combination are well-known, conventional and routine. This does not hold up to a logical analysis. Every claim is directed to something. So, saying it is directed to something adds nothing to the analysis unless what it is directed to is somehow forbidden subject matter. What this directed to stuff is is a way to do a 103 analysis by creating this phantom reference that embodies the directed to subject matter. So, create in the mind of the fact finder a phantom reference that covers what material the fact finder wants as the primary reference. Then continue the analysis with judicial notice. Not law. This the type of thinking that civilization has learned is not law, but the opinion of the fact finder. Shameful. Disgusting really. This could easily be right out of a Roman Court or the court of a king or queen from medieval times. I really do not understand the case when I say that this is the type of stuff that is tearing our society apart. When you abandon the rule of law, what happens is people stop playing by the rules. When judges act like this, then the judged stop following the laws. That is why this is so damaging. Every person that deals with patents knows that this is not law. This is equity without the constraints that equity is supposed to have of being an extraordinary remedy. Invalidation by the phantom reference. Just as a thought experiment compare Ginsburg to Trump. They are a lot alike. Transfer of patient health information among healthcare user groups and patients. Does this need a 103 reference to be known as old? One private server to store patient health information private to the healthcare user group. Does the “ordered combination” of these ancient elements need a 103 reference to be known as old? Of course not. Is there anything relating to some novel structure of any kind here? Of course not. These claim’s are an abstract description of everyday practices. Should they be eligible for a patent? This “invention” could be discarded in a five minute review by anyone having an ounce of common sense- under 102/103/112 would be logical, but the “rule of law” provides that you can’t use plain common sense to apply those sections. But why waste all kinds of resources for a putative “invention” that lacks any inventive subject matter whatsoever? You repeatedly ask whether prior art is necessary in order to conclude something is known. The answer, of course, is yes. Pretty simple concept. Mr. Snyder is the person you are talking to (and uses the moniker because he has been banned once already). His post here shows nothing more than his continued desire to not understand patent law and somehow justify the use of 101 to obtain a desired end. He does not care (after having been informed many times now) that the obfuscation of law in order to reach that desired end state is simply not proper and is deleterious to ALL law. Instead, he would ignore the lessons of Sir Thomas More and simply mow down the law that gets in the way of his desired end, even if he has to stand unprotected from the Devil at the end of the day. Some evidence is needed, period. If its too obvious to patent, or even to write down as a published article (some things being too banal even for the Internet), where do the references come from? It’s a nice little circle: too obvious to patent or even coherently describe in one place, therefore no handy references, therefore get a patent. Which prior art describing networks and servers and patient information should be used? You get all this “anti-patent” bias and all this “anti-patent” activity because junk like this has gotten into the system. Now that the system has moved to protect itself within the preexisting strictures (since the legislature is worse than useless), junk like this is having a harder time, but reasonable(?) people think that’s a bad result…. anon, of course you know who I am. Your ends justify the means argument is more tired than anything I post, since 101 is you know, actually the law of the land and disposing of real cases, which is rather less meaningful than your anonymous beatings about a balance that is pedantic- at best. I don’t like Alice, I don’t like the AIA, and I have proposed a test which does accord with the laws as written- and intended- and which would help the situation measurably (and instantly dispose of the rubbish claims disclosed here). All you do is ancestor worship long-dead legislators who could not imagine what is going on today, and who doubtless would have fixed it right up had they known what the future would bring. Let me know about the amicus brief. If that would be helpful I’ll see what I can do. If there are “no handy references” then the patent issues. This isn’t a difficult concept. Are you intentionally being ignorant? Are you just playing games here? If it is junk then cite prior art. No prior art means it isn’t junk. Why can’t you follow along? Are you really that ignorant when it comes to patent law? Are you just trying to get in the way of a thoughtful conversation? If you are admitting to being Mr. Synder… goodbye. I understand that you guys may be upset that your captured judicial body is starting to be captured by other interests, but if you look at the prosecution history of this one in Public Pair you’ll probably see that this is not a great hill to die on. Interesting e-mail address, which calls me a hypocrite @ duh. I rescued your comment from spam to set the record straight here in a way that even you should be able to understand. I won’t rescue a future comment from spam that uses a generic name and ridiculously fake e-mail address. Having said that, allow me to state the obvious. All I’ve said in the comments is that if you cannot find prior art there is no reason to reject the claim. I haven’t defended this patent or these claims. I’ve said that if it is so simple and easy and obvious then it would be simple and easy and obvious to find a reference, which is of course 100% correct. You can now return to your juvenile games, but it won’t be commenting here. We’ll see. Depends on what the PTAB will do. Three months ago I submitted an RFR / RFR en banc to address a 101 rejection where I point out: (1) a claim that requires math isn’t necessarily patent ineligible (see Diehr, Thales); (2) the Examiner (or PTAB) never addressed the claims as a whole under part 1 or part 2 (or combined) of Alice; (3) there’s no evidence to support a 101 rejection; (4) Alice didn’t remove the substantial evidence requirement from the APA; and (4) the Examiner bears the initial prima facie burden. Seriously idiotic that I needed to make such arguments, but the PTAB is incapable of addressing 101 rejections, and the CAFC hasn’t made the task easier. Some CAFC judges just simply believe that addressing the claims as a whole, evidence and the APA are not relevant or necessary to address 101 rejections coming from the PTO – and I do not exaggerate. Look as In re Salwan. The word “evidence” does not appear in that opinion, and the CAFC reduced the claim to a bumper sticker. Bob, I am a patent attorney that’s represented both Plaintiffs and Defendants. I don’t care for bad patents, and I’m pretty sure my opinion is consistent with every patent attorney here. You’re obviously not a patent attorney. FYI, I read the PTAB’s decision regarding the 101 rejection. Completely conclusory and without evidence. I know what you are saying regarding 101. I don’t understand why patents are not presumed valid. I don’t see an exception to the presumption of validity in 282 that says “except with respect to a 101 analysis.” Much is wrong. Keep me posted on your en banc request. Those issues absolutely should interest the CAFC. These are real and substantial problems. Not too long ago the SCOTUS clarified that the presumption only applies to factual issues, and a theory of invalidity based only on a purely legal bases gets no presumption. Nautilus v. Biosig. That said, I think that many on the Fed. Cir. don’t comprehend that you can’t just announce something is well-known, routine and conventional without evidence. Certainly Judges Hughs, Taranto and Reyna are convinced evidence isn’t necessary.